/ Norwex Review: Is This Chemical Free MLM A Scam? 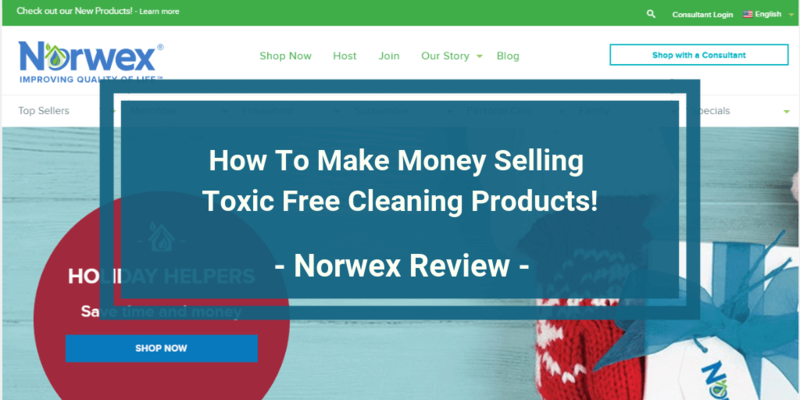 Norwex Review: Is This Chemical Free MLM A Scam? Chemical free products is a big industry. If you're an environmentally conscious person, did you know you can also earn money from it? Maybe you do know and it's why you are reading Norwex reviews to see if they are a legitimate business opportunity. Well we've done the legwork and will lay out the good and bad things reps won't tell you. So don't you dare join Norwex until you've read our review below. You've been warned. Norwex's main mission is to reduce harmful chemicals introduced into the home. The “Clean without Chemicals” Norwegian company was founded in 1994 by Bj?rn Nicolaisen. Since then, it has expanded to worldwide locations like the U.S, Canada, Germany, Australia, and several others. What Products Does Norwex Provide? Do a quick search on Norwex products online and you may see reviews for the Norwex microfiber cleaning cloth. This is the company's claim to fame, but it isn't its only product. Norwex also has product lines for household, personal care, and sustainable goods. But the best-selling products still remains its microfiber line. The catalog has too many items to list individually. So if you want to get a good idea of other items for sale, you should check out Norwex's online sales page. How Much Does It Cost to Be a Norwex Consultant? So, one of the main ways to distribute these products is word of mouth and sponsorship. That shouldn't be surprising though, because one of the mainstays for being a Norwex Consultant is the “product party” that you need to host. Like the old Tupperware parties of decades past, this is a way for Consultants to sell products and recruit more Consultants for their downline. So, how much does it cost? Nothing. Or at least that's what Norwex claims as per their FAQ. Your Party Starter Kit and product samples don't cost you a dime when you first sign up. Except for the $9.99 shipping. However there is a stipulation for this “free” kit, though. According to their brochure, you have to generate $2000 minimum total retail sales in the first 90 days of your enrollment. If you don't? 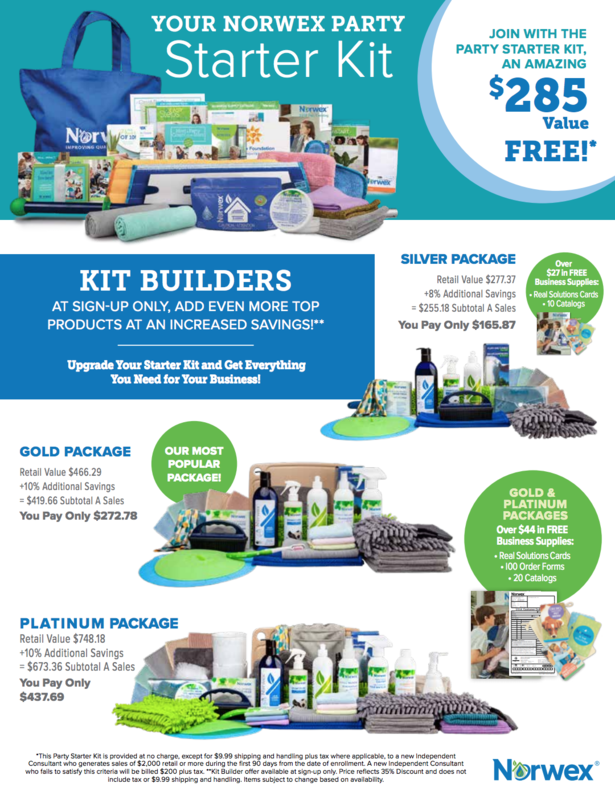 Norwex charges you $200 plus tax for your “free” starter kit. Aside from extra products, you also receive extra business supplies with these kit upgrades. These include order forms, business cards, and product catalogs. Keep in mind, however, that you have to sell a certain total value of products to maintain your “active” status. Unfortunately, this is common annoying practice for many MLM companies. In the case of Norwex, you have to hit $250 in retail sales in every 3-month cycle to remain active. The retail sales portion is self-explanatory. And it may be where most Consultants start out. You receive a 35% commission from all direct retail sales. In addition, you may also be eligible for free Norwex products as per page 3 on the compensation plan based on the amount of parties you host and products you sell. Furthermore, you may also earn from recruitment. But it won't be in cash bonuses. That's right, for each new qualified personal recruit, you receive $300 worth of products of your choice. If you're interested in earning passive income from your downline, you need at least 3 Engaged Personal Recruits to qualify for the next level in the Norwex organization. As a Team Coordinator, you may be eligible for 3% of your Personal Recruits' sales. How Much Money Can Norwex Consultants Make? Generally, this is where you'd find discussions about the Income Disclosure Statement. But Norwex hasn't published one. So, your money-making potential really depends on how many product parties you host. And how many participants you can talk into buying products or becoming a consultant under you. If the thought of hosting parties to earn commission doesn't appeal to you, there are other home based businesses you may want to look at. If you want to earn a full time or part income, you may want to check out Wealthy Affiliate which allows you to start your own business that is totally online. That means no home parties. But If you just want to make some extra income, you can also try sites like Inboxdollars.com, SurveyJunkie.com, Swagbucks.com and Fusioncash.com. All these alternatives allow you to earn money online without having to recruit people or selling anything. The products are environmentally friendly. So if you are into this kind of thing, or know a lot of people who are, you may feel good about selling these chemical free products since they are safe to use as proven by various studies. If you do like the Norwex product line, receiving product rewards can definitely be a good thing. And you may have the opportunity to try out new things without paying out of pocket. So if you host parties and recruit a new consultant, you can expect $300 in free products as stipulated in the compensation plan. Unlike many MLM compensation plans, Norwex's plan is relatively straightforward. And if you only intend to remain a consultant, your retail sales commissions will be your only source of tangible income. But like any other company, this business opportunity isn't perfect. So let's dive into some of Norwex's downsides before you join. These are probably the things that consultants fail to discuss with you. What makes the Norwex cleaning products different than the chemical free options you can buy from a local big-box store? That's what you may be faced with every time you go to a host party. You're basically competing with discount stores and local specialty stores that can offer similar products at lower prices. You better be good at networking otherwise you may run out of leads petty quickly. So most of your commissions may depend on you finding repeat customers and referrals. There doesn't seem to be a lot of focus or training on using things like Google to get people coming to you. That's exactly what My Best Work At Home Recommendation can teach you to do for this or any online business you want to start. Best of all it's free to get started. If you are someone who places a lot of value on BBB ratings, you might not be happy to hear that Norwex only has a C rating at the time of this review. Fortunately, there are other alternatives that have higher positive Better Business Bureau rating. You may want to try sites like Wealthy Affiliate, Inboxdollars.com, SurveyJunkie.com, Swagbucks.com and Fusioncash.com. Like most MLM products, Norwex products are pricey. The average person may buy a product once to try it out, but you may be hard-pressed to find enough repeat buyers to meet your minimum sales requirement. Because people will price shop and find similar alternatives at big box stores for cheaper. Is Norwex a Scam or Legitimate? Norwex seems to be a legitimate company. The business model is definitely not a pyramid scheme. However, if you plan on earning a livable income, it's going to be more difficult than other types of businesses. Unless you get into the upper levels of the company, you may make some extra pocket income at best. If you are already enamored with the Norwex cleaning line, this may be a good opportunity to get more products at a discount or the rewards. But if you are looking for a full-time income opportunity, you may want to try My Best Work At Home Recommendation. It's free to get started and there is no recruiting or direct selling involved. So that might be worth checking out if you want to start an online business. So there you have my opinion on Norwex. If you have any specific questions, you may want to check out their FAQ. If you have any experience using Norwex or want to share your thoughts, please feel free to leave a comment below.